Rustic Cabin furniture is known for its traditional craftsmanship and rustic style. This one-of-a-kind look can be attributed to its rough-hewn wood construction. Along with its bark accents and simple designs. Gustav Stickley plays an important role in the history of cabin furniture. The Wisconsin-born craftsman popularized the Spanish Mission furniture style, mass-producing it for the public. To follow up this success, he produced a line of cabin furniture. Its popularity caught on quickly. Cabin furniture boasts great versatility. 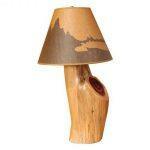 It can add a rustic touch to any home, cabin or patio. It possesses not only a unique style, but strength and durability.